Buried deep in the Patagonian region of Southern Argentina sits the small mountain town of El Chalten. Considered the trekking and adventure capital of Argentina, this town hosts hiking, climbing, and photography enthusiasts alike. 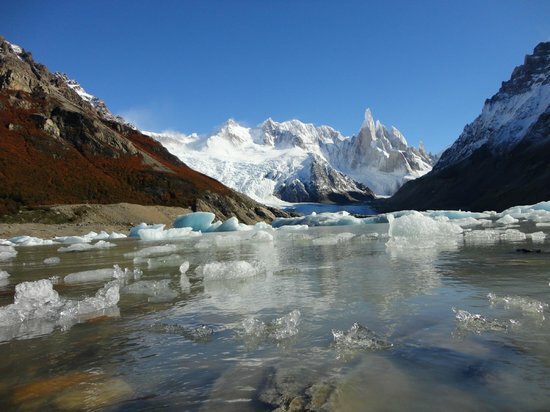 El Chalten is home to some of the most rugged and impressive peaks in the region, like Mount Fitz Roy and Cerro Torre, El Chalten, Patagonia isis the perfect destination for those seeking adventure in Argentine Patagonia region. Today, in this El Chalten Travel Guide, we will cover all the most important facts about El Chalten, including how to get to El Chalten, the best places to stay, and feature some of our best Patagonia Tours that include stops in El Chalten. For a simple and cozy experience, opt for Hosteria Senderos. Located across the street from the bus station in El Chalten, this is a great option for those looking for a mid-range hotel. *** Insider Travel Tip: Choose a higher category room at Hosteria Senderos, as the standard is small. For a hotel with more amenities, try the 4-star plus Don Los Cerros. While the location is farther away from the bus station, the rooms are stocked with all the amenities you could want in a mountain hotel. Just take note that additional transfers are required to reach the hotel. For those seeking a remote and luxurious experience, choose Aguas Arriba Lodge. Due to its location 37 kilometers from El Chalten, visitors have total privacy and magnificent views of the lake, the north face of Mt. Fitz Roy and more. Relax in your room or in the surrounding area of the lodge and you will find solitude in nature. First on everyone’s list should be a trek to Laguna de Los Tres. This is the most famous hike in the area and offers the best views of the iconic peak, Mt. Fitz Roy. As a Patagonia Travel Expert, I recommend that my clients travel during Fall (End of March – April). During this time, the weather is the most temperate. And most importantly, travelers can notice how the beech trees burst with bright reds and oranges, providing a stunning contrast to the cool hues of the granite peaks. The trail is fairly moderate in terms of difficulty. However, the final 400 meters proves to be the biggest challenge. Thighs will be burning as you ascend to the top of a moraine ridge, revealing drop-dead gorgeous views of a turquoise lake nestled in front of the stunning Mt. Fitz Roy herself. Find yourself a solid rock and settle in for one of the best lunch views you might ever encounter. Another popular option is the trail to Laguna Torre. Opposite to the Laguna de Los Tres trek, this hike has a much easier terrain. Enjoy the scenic vantage points as the trail takes you to the edge of a beautiful glacial-fed lake situated in front of the towering spires of Cerro Torre. There you have it, our Guide to El Chalten: The Adventure Gateway to Argentina’s Patagonia. Do you need help planning a trip to El Chalten Patagonia? At SouthAmerica.travel, we are your Patagonia Travel Experts. 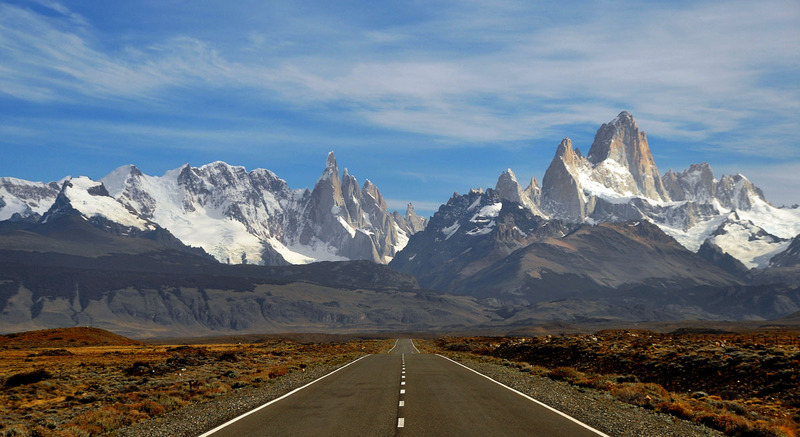 Browse our fully customizable Patagonia Tours! Or simply send us an email or give us a call today.